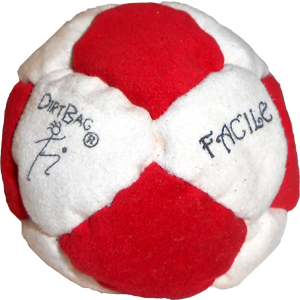 The Tangent Facile Dirtbag Footbag is made from the highest quality fabric available for footbags. This fourteen panel beauty will delivery a very unique kicking experience. 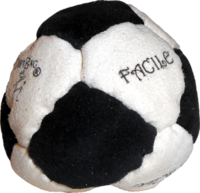 Most Pro kickers prefer Facile fabric in competition. 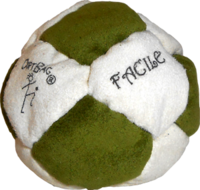 The facile footbags are limited in quantity so get yours today. 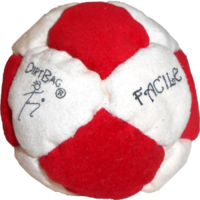 I own this one, the Juice Facille, and the classic 8 foot bags, and this one is by far the best of the 3. 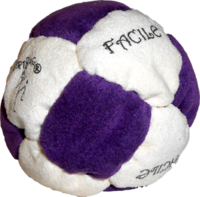 It's great for stalling and juggling. 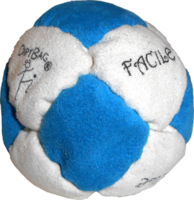 If you're debating on which of these 3 to buy, definitely go for the Facille.